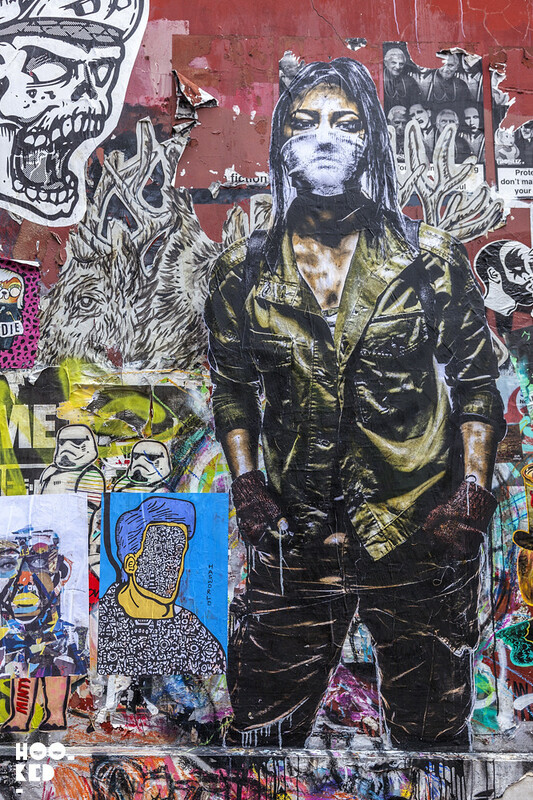 Hookedblog were recently in Paris travelling (more on that soon) and while we were there we photographed a number of large scale street artist pasteups by an artist new to us. We shared some of the work on our Hookedblog Instagram account and asked for assitance in naming the artist. One of our French followers let us know the work we had shared was that of American artist Eddie Colla. 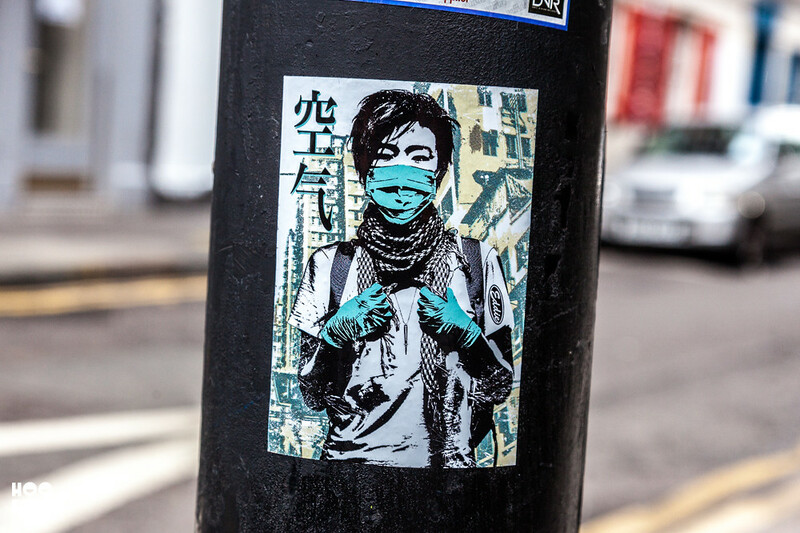 It would appear that while we were enjoying our time in Paris and discovering the street artists work, he was at the same time here in London installing works. Taking a stroll around Shoreditch and Brick Lane there a number of new works from Eddie Colla to be discovered. 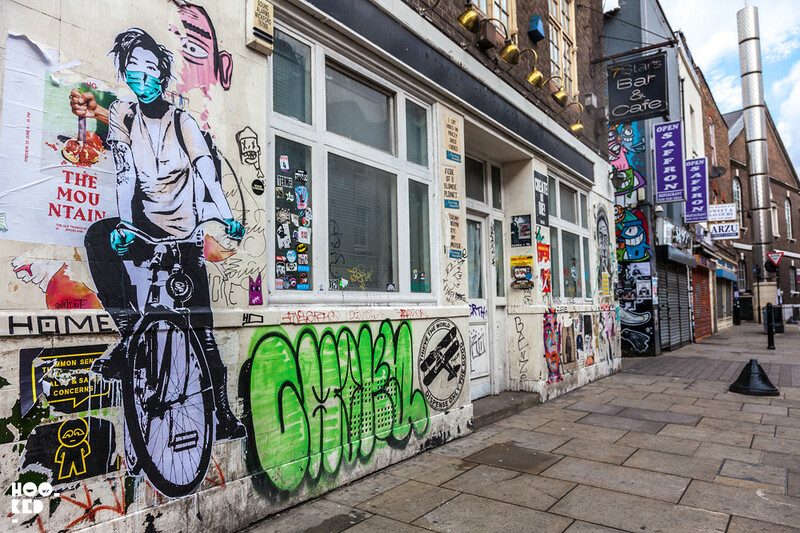 Our regular readers will know our love of street art pasteups and it's great to see a street artist working in this medium installing such large scale one off pieces, it's been some time since we have seen pasteups works at this scale in London. Have a look at some of the large and smaller pieces below. 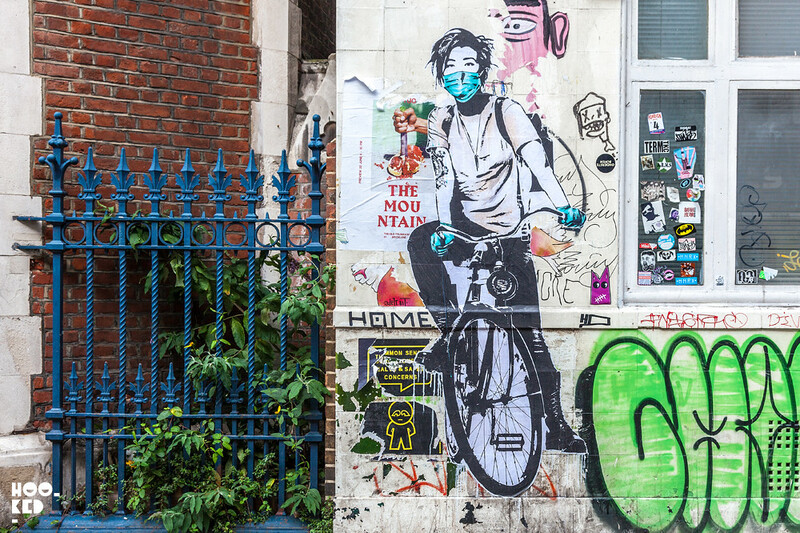 One of Eddie Colla's bike girl pasteups on Brick Lane, one of the the same works we spotted on the streets of Paris. 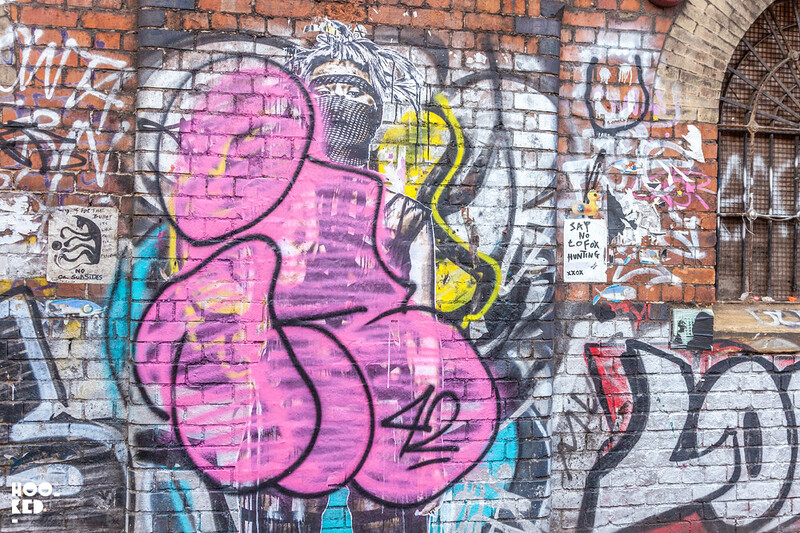 This large scale piece next to Shoreditch Overground Station got taken out before we managed to get a photograph of the entire work. 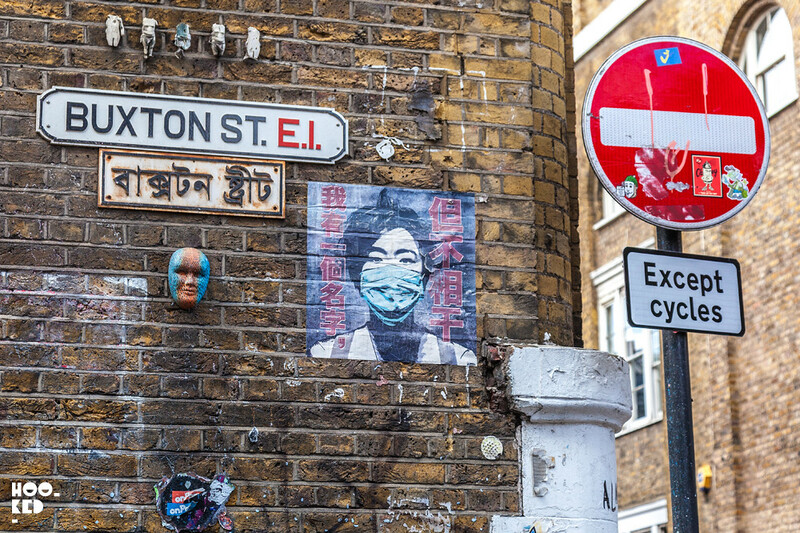 The Street Art of Fred Le Chevalier in London. 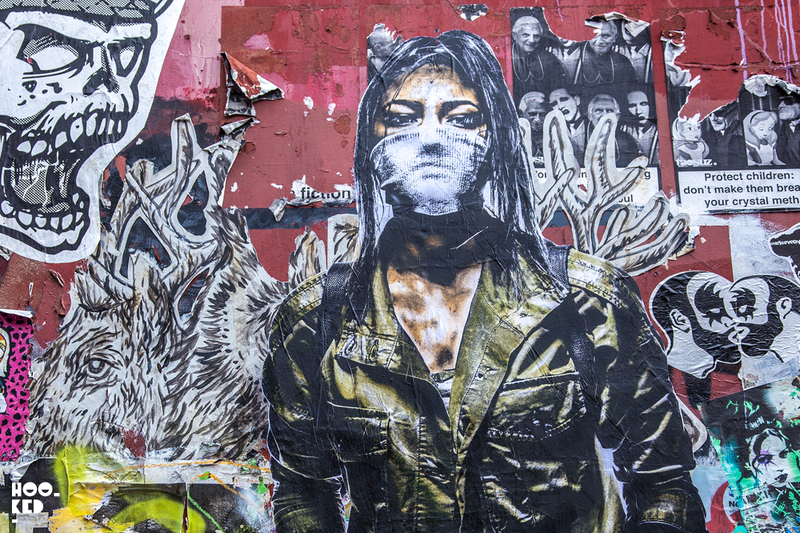 Street Art Paste-ups in Shoreditch, London.